Used for stabilizing 18 wheel tractor trailers . 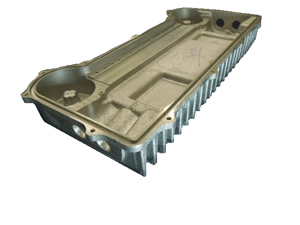 A356-T61 used for greater elongation, higher strength/ductility and its improved mechanical properties over lower alloys. Pressure tightness was key to the success of this part, it needed to remain sealed from the outside environment while also withstanding internal pressures. Key factors, such as “fins” for heat dissipation, tight tolerances for mounting/surface references, and finish allowing for a healthy part. Air Quenching, unlike the more commonly known process of Water Quenching, is used on projects that need more finesse, it increases the strength and hardness on this extrusion. 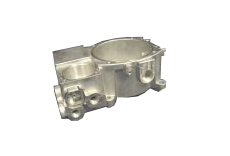 Extrusion press size determines how large of an extrusion can be produced. It not only fits on the same press, but because of the size and application of the part, both parts run at the same time. 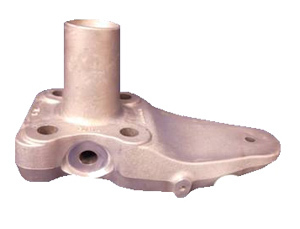 High strength 356 Alloy casting with precision sand-core. High-load safety-critical application. Powder-coated complete. A highly engineered extrusion with precision machining. These fragile medical devices are used in surgical procedures. Ultra-high strength 357 Alloy casting with precision controlled heat-treatment. High-load compressor application. Stringent sub-surface porosity standards. Heavy-wall extruded profile with secondary machining to add cable track profile. 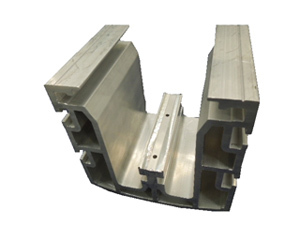 Tight tolerance keyway extruded to tolerance without broaching. Profile 6061-T6 extrusion with complex secondary machining, involving close profile tolerances and heavy contouring. Over 4ft. 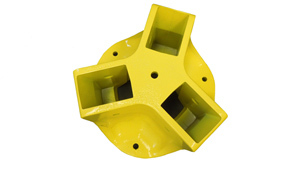 wide design, manufactured on the largest permanent tilt pour machine in the industry. 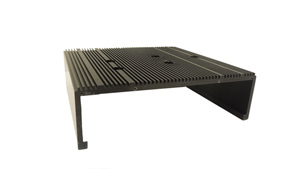 Sand core design with powder-coating, machining, and polishing to meet stringent medical industry standards. Gear teeth used as-cast. 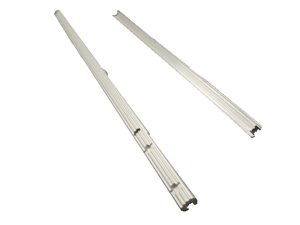 High-strength aluminum alloy for extra long life and wear resistance. 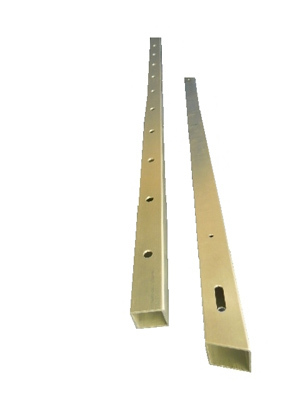 Used in critical mass transit propulsion application; Flatness held to tight tolerance across mating surface of part (after machining); shown with gold chromate coating . Multi-axis tightly toleranced machining; deep-pocketed bearing bores machined to +/-.0002 tolerance; Leak-proof with hydraulic oil at pressure. Precision machined bearing bores machined to exacting true position requirements to minimize gear noise and backlash.